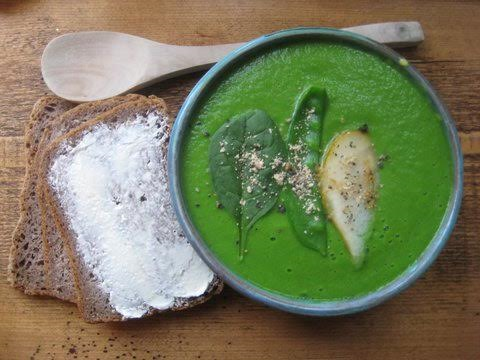 I absolutely love soup - its so warming & comforting & definitely up there in my top 10 foods. This one is very simple, packed with nutrients & great to balance out some of the richer food that is around now we're getting into party season. As the weather gets colder, Green smoothies have less appeal (they do to me anyway!) 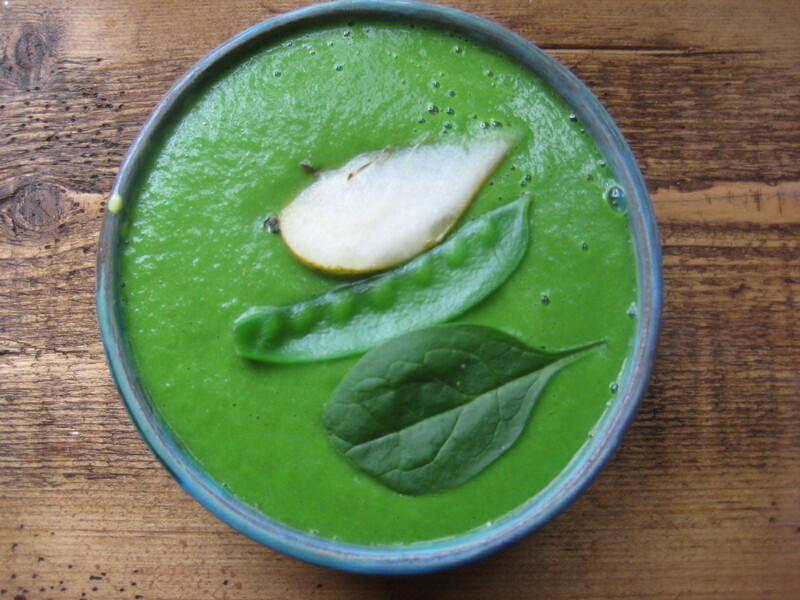 and this soup is a brilliant way to pack some extra fruit & veg into your diet. Don't be put off by the pear - it goes really well with the veggies, honestly! This literally takes 10 mins max to make, which is perfect during Christmas time when there's lots going on. 2 Bring to the boil, leave to bubble away for about a minute, then remove the pan from the heat & cover with a lid. leave for about 5 mins. 3 I used my nutribullet here, but you can use whatever blender you have. 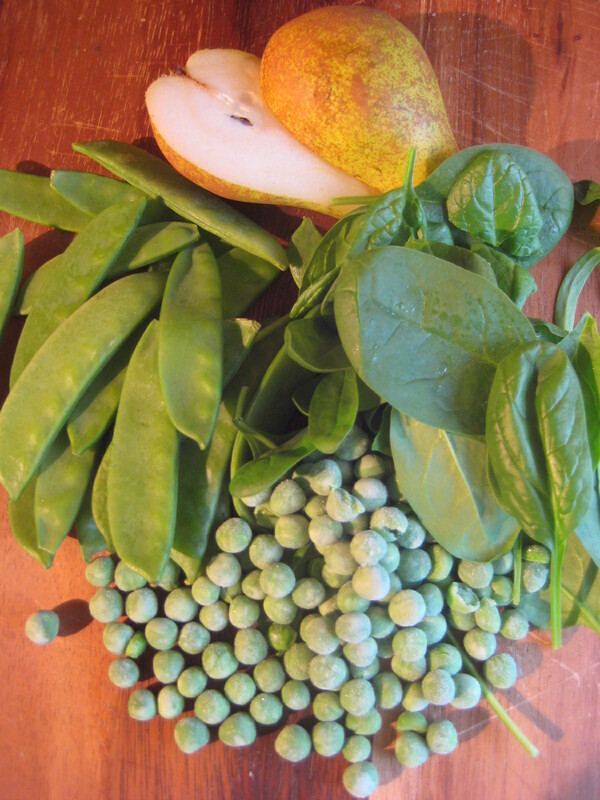 So, transfer the contents of the saucepan to the nutribullet, add the pear & spinach & blitz. Season to taste. 4 If you want to add some ground ginger - again do so according to your taste. 5 that's it! 10 mins max. the bread shown at the top of the page is my new favourite GF bread. It's a mix from, www.thankyoumydeer.com which is a GF café in Paris. It only has a few ingredients, no nasties & is super easy to make - even for me, & my track record with GF bread (even the "foolproof mixes") is not good at all! As I type, one of my sisters is visiting a friend in Paris & hopefully picking up a load of the bread mix whilst she's there!